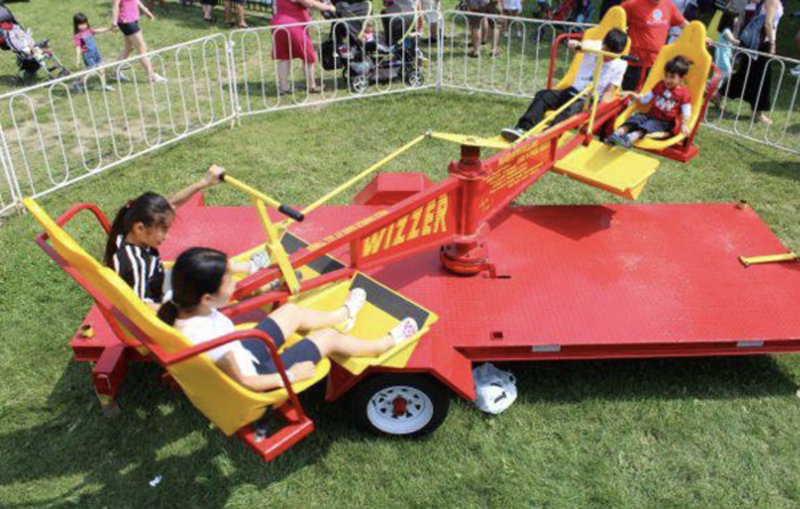 Wizzer Carnival Ride is a thrilling attraction for all ages. 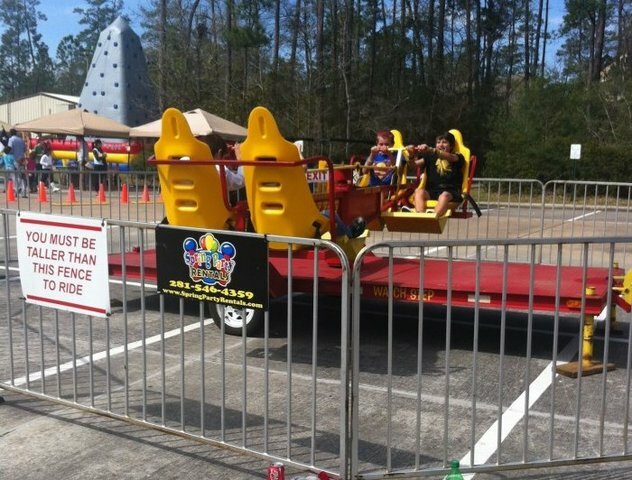 Riders pump the T-handles to spin the ride. The harder riders pump, the faster they spin. Wizzer seats 4 people up to 200 lbs each. Comes complete with our trained operator. $650 Rate is for up to 4 hrs and additional hours available at an extra charge. Call for details and package deals.